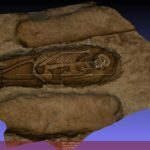 Previous excavations conducted at the site exposed human burials dated to the middle ages, the renaissance and modern (18th-19th c.) times. 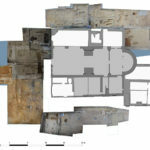 Additionally, archaeological investigations revealed the buried remnants of a post-medieval building adjacent to the church, as well as structures belonging to the medieval church and cloister. 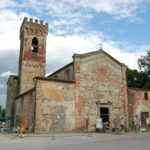 Excavations at the site have exposed the 19th c. cemetery (including burials attributed to the cholera epidemics that afflicted Tuscany in 1855 AD) and identified buried remnants of a post-medieval building adjacent to the church, as well as structures belonging to the medieval church and cloister. 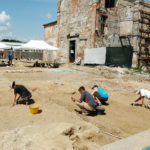 During the 2019 field season, the field school will continue to explore the medieval and post-medieval levels of the site, including the cemetery as well as the monastery’s ruins. Excavation will take place daily, Monday through Friday, between 8:00 am and 6:00 pm, with an hour lunch break. 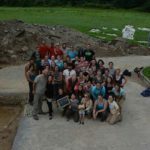 At the beginning of the field school, the instructors will divide the students in four groups and each group will be assigned to a specific excavation area. 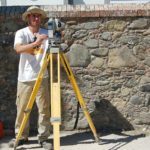 Area assignments are based on a variety of factors, including experience and interests, and decisions are final. 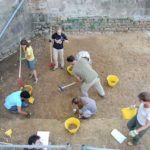 Given the didactic value of direct involvement in – and observation of the progression of – archaeological investigation, students are expected to actively contribute to the excavation of their area for the entire duration of the field school. 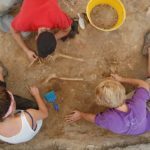 The excavation areas at Badia Pozzeveri differ somewhat in their investigation focus and there is no guarantee that all participants will be equally involved in the excavation of human remains. Laboratories will be held in parallel with excavation. 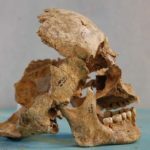 Laboratory activities may include cleaning, labeling, restoring, and analyzing skeletal remains and artifacts, as well as elaboration of photographs and GIS records. Such activities will be held at the instructors’ discretion and will involve only small groups of students (2-3 per lab) at a time. Lectures may be given in the morning once or twice a week. In case of inclement weather, excavation will be replaced with laboratory activities and lectures. At the end of the working day students will have time to relax and shower. Students and staff will dine together at 8:00 pm-8:30 pm. ARE YOU A RETURNING STUDENT? YOU DESERVE A SPECIAL DISCOUNT! CONTACT US! Should minimum attendance requirement of 15 students not be met, course will be cancelled. The application deadline is June 1st, 2019. 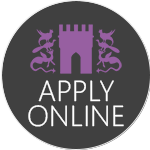 However, applications are reviewed as soon as they are received and successful applicants accepted right away. • Release form: all students must read and accept the terms of the IRLAB Participation Agreement to participate in the program; a signed release form must be submitted prior to the start date of the Summer School. • Fee Payment: Students will be required to pay fees in full within 15 business days of receipt of the invoice in case of admission. In case of student withdrawal, all fees minus a non-refundable deposit of $500 will be refunded until May 10, 2019. After May 10, 2019 fees will not be refunded. In the unlikely event of course cancellation, fees will be refunded in full (any applicable processing fees may not be refunded). Failure to provide all the above-mentioned documents and payment within the terms specified at the time of admission will constitute an automatic forfeiture of the student’s place in the summer school. 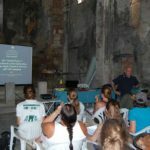 The cost listed for each session covers Field School activities (excavation practice, lectures, laboratory activities and instruments), meals (MON to FRI: breakfast, lunch and dinner), accommodation and airport pick-up service (set schedule); registration and tuition with the University of Pisa for 12 CFU credits (NOTE: most US institutions will convert 1 CFUs to 0.6 credit hours, that is, about 7 credit hours per session) . Additional documentation and payment processing fees (not to exceed $80/session) will be applied to the final invoice. 5% discount for students participating in more than one IRLAB’s 2019 field-based programs (i.e., discount is not applicable to laboratory-based programs and short courses). 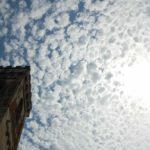 Two $500.00 grants sponsored by the University of Pisa are available to meritorious students from developing countries. For the purposes of grant eligibility, “developing Countries” are those defined by the World Bank as Low-Income, Lower-Middle-Income and Upper-Middle-Income Economies (see the current list here). Grant applications deadline is March, 31 2019. Special price for returning students. 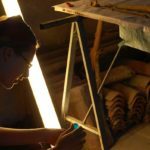 The course is open to up to 30 undergraduate, graduate and post-graduate students in archeology, anthropology or allied disciplines from any country and institution. Current enrollment in a university is not a requirement; all applications are evaluated equally and acceptance decisions are primarily based on merit. Housing is provided by the Summer School at the Elementary School of Badia Pozzeveri (see map). Monday through Friday, 8:00am-6:00pm (including one hour lunch break). 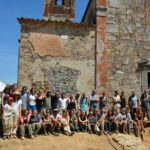 THE OFFICIAL LANGUAGE OF THE FIELDSCHOOL IS ENGLISH AND NO KNOWLEDGE OF ITALIAN IS REQUIRED.